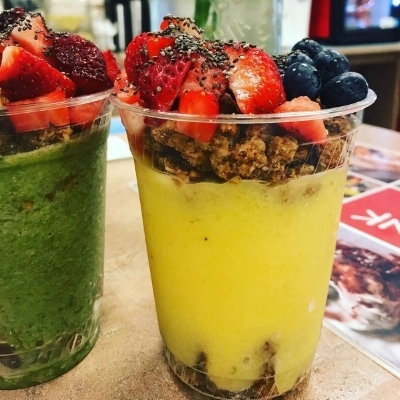 Come try one of delicious #smoothiebowl (cups)! Pictured here are our Green Goddess and Harmony Bowl. Barrier Island Bagels offers a little bit of everything - your one stop shop for breakfast, lunch and healthy snacks in Southern Shores and Kitty Hawk!